Students are eligible to apply for the International Ambassador Scholarship of University of West London if they have been offered a place to study on a full-time undergraduate or postgraduate course at the University, commencing in January 2019. The International Ambassador Scholarship provides financial support for outstanding students who wish to become ambassadors for the University of West London. The International Ambassador Scholarship provides a discount for the cost of tuition for the first year of study only. International Ambassadors are active representatives of the University of West London. They are expected to participate in current and future promotional activities and will be interviewed and photographed by the marketing department. 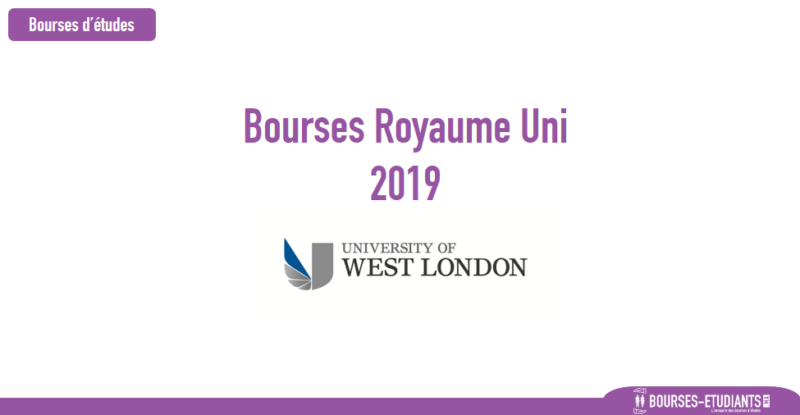 As outstanding students, Ambassadors will also contribute from time to time in the promotion of the University of West London by supporting events organised for scholars or by the International Office. For applicants applying to start in January 2019 the University offers up to 50 scholarships, worth up to £5,000. Please note the deadline for applications is Sunday 25 November 2018. Applications for the January 2019 intake are now open. The University of West London (UWL) is proud to be offering up to 50 scholarships worth up to £5,000 for international applicants applying to start in January 2019. Please see www.uwl.ac.uk/intscholarship for more details. The International Ambassador Scholarship is intended to recognise and provide financial support for outstanding students who wish to act as ambassadors for UWL. As an ambassador you will be an active representative of the University. You will be expected to participate in current and future promotional activities, and as such, will be interviewed and photographed by our marketing department. The scholar will also contribute from time to time in the promotion of the University by supporting events organised for scholars, and events organised by the International Office. The scholar agrees no payment will be made for their participation in promotional activities. The scholar assigns to the University any intellectual property or other rights which are created as part of the promotional material. The University reserves the right to revoke the scholarship in the event the scholar is not fulfilling the requirements of the role. There are five sections of this form to be completed in full. By submitting this form you are agreeing to our scholarship terms. If any sections are incomplete, this form will not be considered. You will only be able to apply for a scholarship if you meet the eligibility criteria (see below). We are looking for exceptional candidates who have a proven academic and achievement record and who will make a major contribution to our university and to the wider global community.